Always required, but rarely thought of, air conditioning is mandatory in every data centre / server room. So what happens when the main air conditioning goes down for maintenance or worse, if it fails? Active Air Rentals Director, John Sweeny, explains HVAC contingency planning. Unlike Google or Facebook, most organisations cannot set up their data centres in sub-Arctic towns for optimised cooling. And although low-heat emitting servers are now available, they are still relatively new to the market. So when modern data requirements or heat waves cause servers to heat up, it’s the responsibility of an average building’s HVAC system to keep them cool and working. But what if the HVAC systems fails and what happens during scheduled maintenance? That’s where a robust HVAC contingency plan comes in. “HVAC contingency plans basically analyse the business impact of an HVAC breakdown or scheduled outage and then outline the required cooling equipment and action plan.” Sweeny says. To start HVAC contingency planning, organisations should first identify the consequences of an HVAC outage in the data centre. How dependent are business operations, information systems, and other data centre resources on the HVAC system? Given that most servers need to stay well below 24°C, how long could the data centre go without cooling? Once those questions have been answered the next step is to qualify and quantify the business impact and related costs. What would an HVAC outage cost for an hour, a day, or a week? Latest research suggests that the average cost of server down time is $5000 per minute. That’s a whopping $300,000 per hour; a conservative time estimate for an emergency situation. Given the costs, when is the optimal time to schedule HVAC maintenance so as to minimise the business impact? The next step is to create the temporary cooling plan to ensure data centre cooling continuity. This part of the plan identifies suppliers and key equipment. “Temporary portable air conditioners are now the default choice for keeping data centres and server rooms cool during scheduled maintenance or in emergency breakdowns.” Explains John. Sweeney says Active Air Rentals uses the latest in portable air conditioners ranging from 4.5kW for small server rooms to the unique 20kW for large data centres. All units can be wheeled through a standard doorway, plug into standard 10amp sockets and vent hot air through temporary ducting. Active Air Rentals is Australia’s all round temporary cooling, heating and power rental specialist. They offer free data centre / server room HVAC contingency plans Australia-wide. 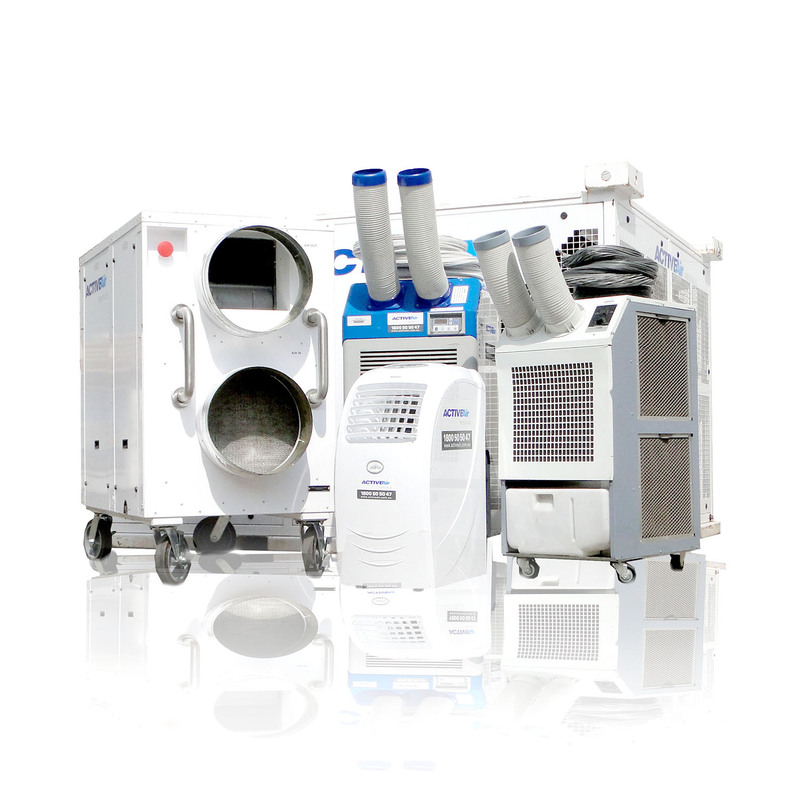 Active Air Rentals use the latest in portable air conditioners ranging from 3kW for small server rooms to the unique 20kW for large data centres. All units can be wheeled through a standard doorway, the majority plug into standard 10amp sockets and vent hot air through temporary ducting. Active Air Rentals has over 40 years experience installing temporary air conditioning into every conceivable location. From crane towers to coal mines, from war ships to entire inner city villages, from emergency civil defence camps to enormous events such as the Australian Open and thousands of data centres, server rooms and offices along the way.